Using Chicken in Slow Cooker Recipes. Chicken is one of the most economical meats and low on saturated fat. We explain the different types of chicken which can be used in a slow cooker. 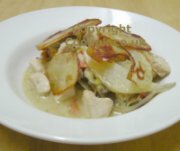 Chicken produces excellent results in a slow cooker but it does also present certain problems. Whereas beef and lamb can be slow cooked for up to 10 hours chicken needs a shorter cooking time. For food safety reasons it's not possible to leave your chicken in a slow cooker with a timer set to start cooking three hours before you return home. On average chicken pieces are at their best after slow cooking on low for 6 to 7 hours. 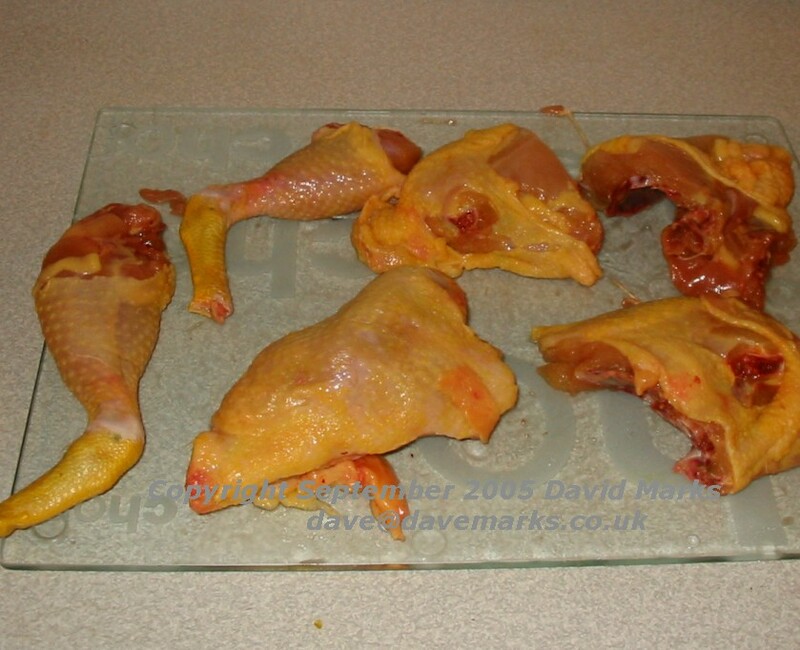 If you cook for much longer the chicken flesh tends to start falling apart. Finally, our experience shows that chicken tastes best when cooked on high which reduces the cooking time to between 2 to 4 hours. Another problem with chicken is that is looks far more tasty when it is browned and slow cookers (even that ones that claim they do) don't really brown chicken skin. The result, if you are cooking a whole small chicken, is perfectly cooked moist flesh but it has a very anaemic look to it. It just doesn't look as appetising as a chicken with browned skin. So if you leave for work at 8 in the morning you will need to accept that slow cooking chicken is best left to the weekend when a shorter cooking period can easily be managed. There are several types of chicken and the smallest is called a Poussin. 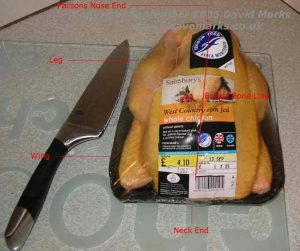 In the UK this is clearly defined as a chicken which weighs less than 750g / 1lb 11oz. This is the smallest (and generally youngest) type of chicken which is sold and is easily enough for one person. They don't have a lot of meat on them and the meat lacks flavour. However they are ideal for a slow cooker. A Spring Chicken is slightly older and weighs from 750g to 1.2kg. There will be enough meat for at least two people. Again, these easily fit into the average slow cooker. The largest type of chicken which can be cooked in a slow cooker is called a Roasting Chicken and these weigh somewhere from 1.2kg upwards. To slow cook a whole chicken choose one which is no larger than 2kg depending on the size of your slow cooker. If the chicken is too large for your slow cooker it will need to be jointed / separated into legs, breast etc. Click here to see exactly how to do this. 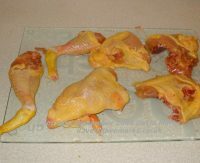 This is an economical way to buy chicken because you are the one who is separating the breast and other parts from the main carcass. This is especially so if you are using the more expensive organic chicken. Be aware though that a good knife and a little muscle power is required! 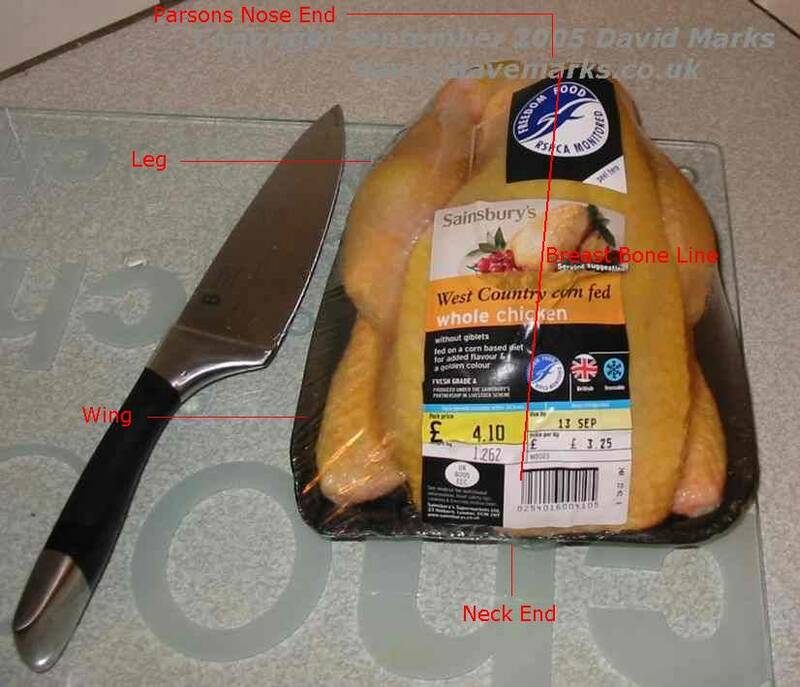 The picture on the right shows a jointed chicken, click it to enlarge and see it more clearly. Turkeys are too large for cooking whole in a slow cooker but their flesh (cooked or uncooked) can be cut up and used in much the same way as chicken.